Nothing takes the taste out of peanut butter quite like being stressed out on a vacation. You paid for it, planned it out, had your agenda all set-up, but then something went wrong. Your reservations got canceled, or maybe you wanted a day on the Lake but you got rained out. So, now you’re stuck in a room, with the entire family, stressfully trying to keep the momentum of your trip going. This is stressful. And this is no way to spend your vacation. Instances like these are why it’s crucial to develop some form of contact to help you navigate the city while on vacation. This could be something as simple as a go-to website, or something more personal such as your hotel staff or concierge. 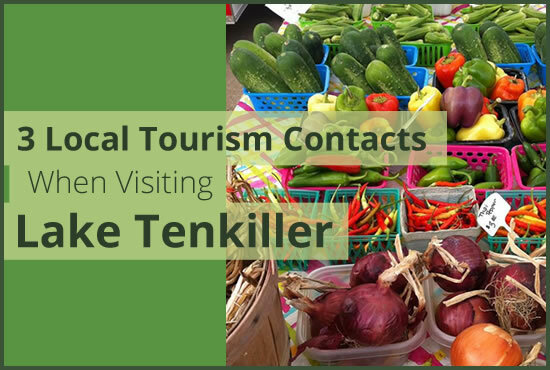 Here are three tourism contacts that we recommend, when stopping by Lake Tenkiller. Travel OK, or TravelOK.com, is a great resource for travelers coming to visit Lake Tenkiller. The website contains lists such as top attractions, restaurants, activities and more. The very simple “Things to Do” page is also a great resource. It breaks down some must-do activities in the area, and also includes contact information and official websites for even further information. Lake Tenkiller is home to dozens of activities, all you can do either on or off the lake. This is why a resource such as Lake Tenkiller’s official website comes in handy. It’s operated in part by the OK Tourism Board, so you can assure that it’s top-notch and relevant information. Here you will find similar content as you would on TravelOK.com, however, this website is purely for Lake Tenkiller. This means you can be confident that the information will be updated and relevant to your next trip to the Lake. Another amazing feature of this website, is their incredibly in-depth directory. Their massive list includes everyone from bait and tackle shops, to kayak rentals and dry cleaners. This is a great page to have bookmarked whenever you make your way to the lake. Terrapin Peak or Ask a Local! Sure, a website is going to give you some great content to read and take notes on. However, what about when you have questions? We at Terrapin Peak are more than a Bed & Breakfast, we call ourselves a Bed, Breakfast & Beyond for a reason! We’re here to ensure that you’re comfortable. This includes letting you know the best kayak rentals, and restaurants, but we also point out things only locals know: best fishing spots, or preferred times to venture out onto the hiking paths. We at Terrapin Peak BBB know the charms and magic of the lake, so feel free to ask us questions and let us help you fall in love with Lake Tenkiller!